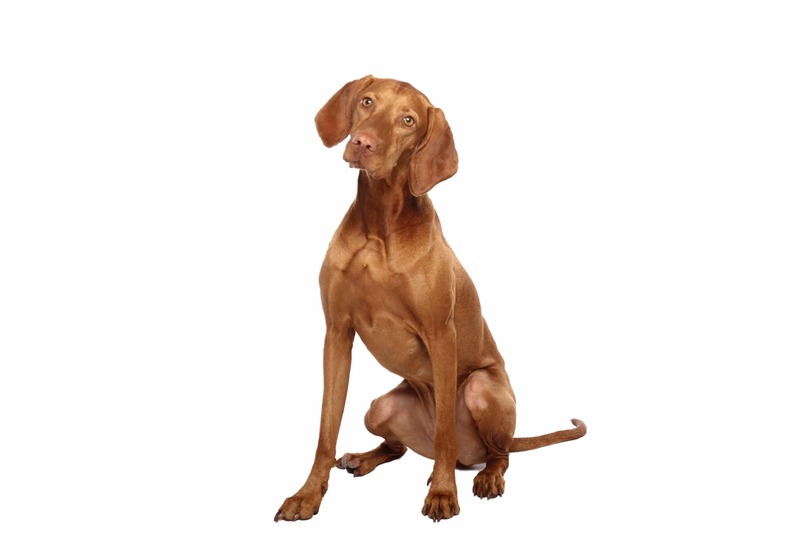 The Vizsla is a dog breed originating in Hungary which belongs under the FCI group 7 (Pointer group). The Hungarian or Magyar Vizsla are sporting dogs and loyal companions, in addition to being the smallest of the all-round pointer-retriever breeds. 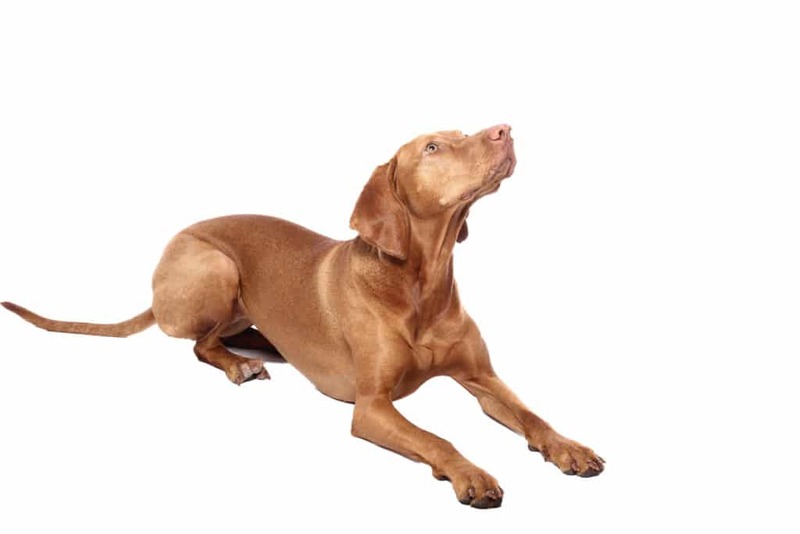 The Vizsla’s medium size is one of the breed’s most appealing characteristics as a hunter of fowl and upland game and, through the centuries, the Vizsla has held a rare position among sporting dogs – that of household companion and family dog. The Vizsla is a medium-sized short-coated hunting dog of distinguished appearance and bearing. Robust, but rather lightly built, they are lean dogs, and have defined muscles. The standard coat is a solid golden-rust color in several shadings, but some breeding programs have resulted in a solid rust coat. The coat could also be described as a copper-brown color, russet gold, and dark sandy gold. Solid, dark, mahogany red and pale yellow are considered faults and a disqualification. Vizslas are very high energy, gentle-mannered, loyal, caring, and highly affectionate. They quickly form close bonds with their owners, children, and even strangers. Often, they are referred to as “velcro” dogs because of their loyalty and affection.